“Barbara Ann” is a lighted fished mostly cruised 48 Viking. She has the upgraded 1100 hp Common Rail Man engines with only 1,000 original hours.Massive cockpit is fitted with two in-deckfish boxes, a tackle center and cockpit controls. Large flybridge seats eight!Three stateroom two head layout offer specious accommodations for you and your guests. The seller is very motivated do not miss this opportunity! United Yacht Sales New Jersey would love to guide you through a personal showing of this 48' Viking 48 Convertible 2006. 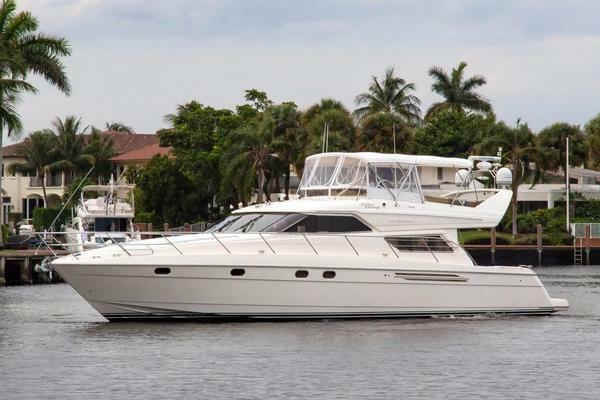 This yacht for sale is located in Freeport United States and priced at $599,000. For a showing please contact us by filling out the form on this page and we will get back to you shortly!